Former Zambia coach, Herve Renard has told the Chipolopolos to forget the 2018 World Cup group B contest as they are no match for Nigeria, Algeria and Cameroon. Renard who is now Morocco’s coach stated that he does not see Zambia making any impact in the group. They have already lost a match at home to the Super Eagles. “Zambia has had a lot of talents and will have talents for a long time to come. If you have to achieve something at international level, you need team spirit but we need to start a new process of rebuilding the national team,” Renard told the Post of Zambia. “It will take some time. The next target should not be to qualify to the next World Cup. You need time to rebuild something very strong, build a strong team. People are sometimes not patient, but they should be patient; the talent is here, the skill is here too, so what we need is to start all over. “I saw their (Chipolo-polo) game against Nigeria and they played well in the second half but they were down 2-0 already. “At international level, when you have teams like Algeria, Nigeria and Cameroon, it’s very tough. People need to be calm because it will be very tough in the qualifiers. “Zambia might do well but these teams are very tough, they are the three of the best big five teams in Africa…for Zambia, it’s too much,” Renard who led the Chipolopolo to their first ever Africa Cup of Nations win in 2010. 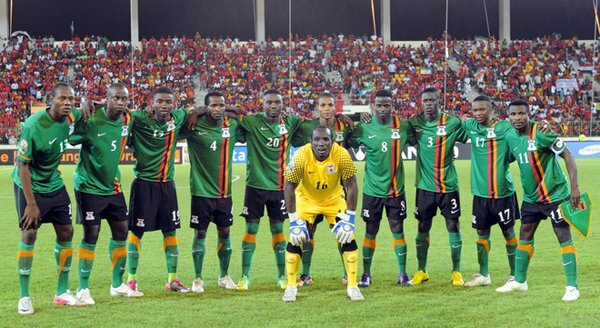 Zambia sit at the base of Group B with no point having lost their first qualifier at home to the Super Eagles.